From a previous order ages ago, I had already bought a NYX powder blush in Mauve which is a gorgeous everyday colour. So I decided to pick up some more fun ones this time round. As you can see these give off crazy pigmentation, considering that they are blushes. It is a lot sheerer with a lighter hand. You really can't see the complete prettiness of Pinched in this picture. The gold sheen is absolutely gorgeous. A great spring/summer colour I reckon. Here's the comparison with my everyday Mauve colour (on the far right). As you can see it is more of an in between colour to the other 2 and more natural looking. I love my NYX blushes. They have great pigmentation. There are ones with better staying power out there but these do well for every day wear. I love their colour variety too so it is a cheap one to try different colours and see what suits you best. 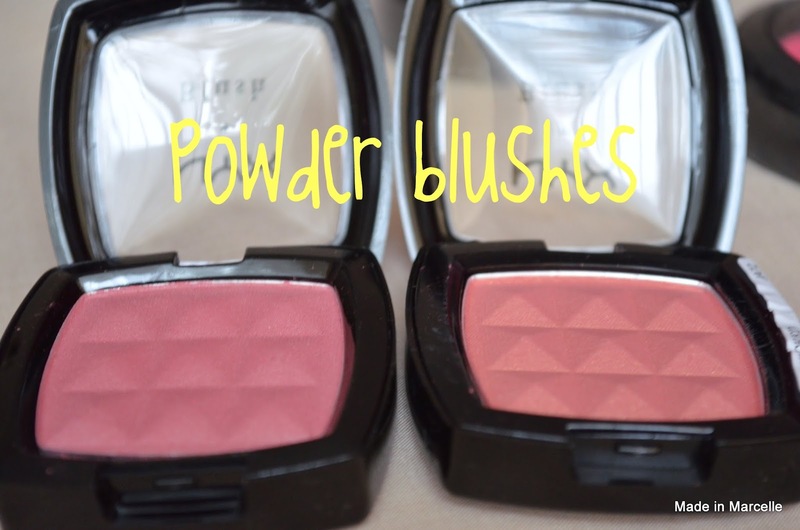 Are there other blushes that I should try?